There is more pain in store for investors who have bet on falling bond prices. With the ECB likely to ease and the Fed and BoE unexpectedly dovish, higher rates are a way off. The result is an epic search for yield. Resistance looks futile, but surrender will amplify the trend. 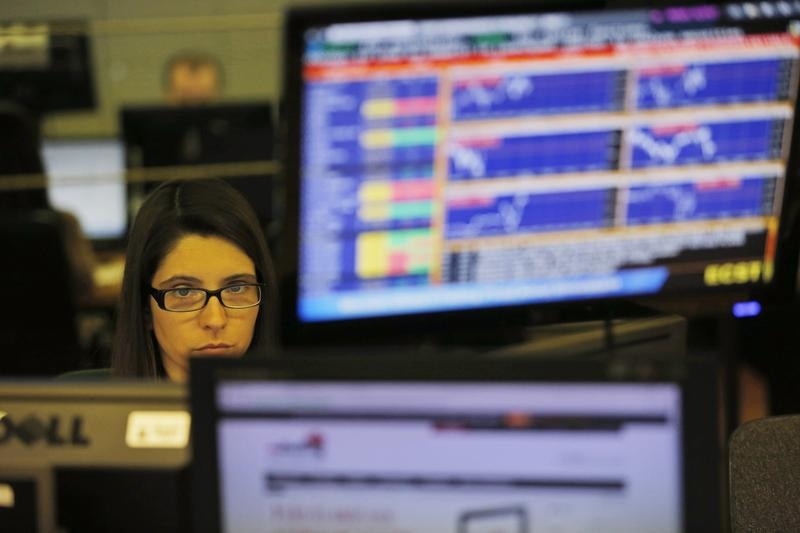 A trader looks at screens at a bank in Lisbon April 23, 2014. Portugal easily sold 750 million euros ($1 billion) of 10-year debt on Wednesday in its first bond auction in three years, in a show of support from investors that puts the country on track to exit its bailout smoothly next month. German 10-year government bond yields fell to a one-year low of 1.35 percent while UK ones hit a six-month low of 2.58 percent on May 15. Comparable U.S. yields fell to a six-month low of 2.53 percent on May 14. Bank of America Merrill Lynch’s May fund managers survey showed the overall bond allocation was steady at a net 55 percent underweight and that peripheral euro debt was viewed as the most crowded trade.